With Christmas just around the corner plans are starting to be put into place. Why not get festive with some tasty cupcakes. With the Christmas cheer very near, we have some festive cupcakes perfect for your celebrations at Cupcake Cutie. When you have friends and family visit, impress them with our fun and quirky Christmas cupcakes. These simply iresistable cakes will be presented with all the traditional xmas icons, santa, snow men, xmas puddings etc. No Christmas party should be without an array of festive cupcakes to match. We at Cupcake Cuties have been tailoring cupcakes for Corporate Events due to the increasing popularity of the chic yet charsmatic cupcakes. We are calling all large businesses , event planners and party organisers!! If you are planning a christmas party, charity event, awards evening, summer ball or any other corporate events then Cupcake Cutie is available to provide bespoke cakes for your guests. If you are planning a big corporate event that you hope will be remembered, then Cupcake Cutie can help provide the perfect table decorations or token gift for your guests. By incorporating cupcakes into your event you will show how you yourself and the company in question are on the forefront of culinary interest and modern trend. The cupcake tiers are not only convenient for guests to eat, but they look beautiful, can be wonderfully creative and are also great value for money. 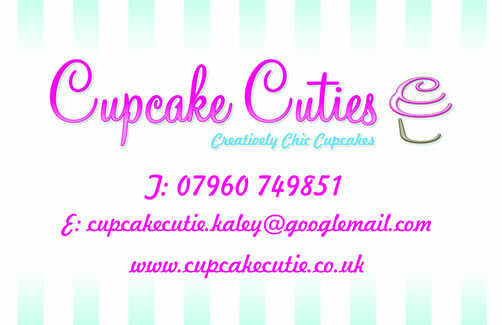 Cupcake Cutie’s are available to create bespoke cupcakes for your desired company, charity or event. Our corporate cupcakes look visually appealing but are also beautifully tasty. 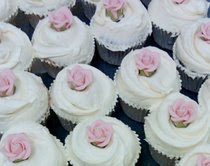 Our cupcakes for corporate events are always designed with ultimate sophistication and class. No hundreds and thousands in sight. Just purely delicately detailed decorations to match the events beautifully planned décor, themes and colours. If you are arranging an event in Luton then why not add some tasty and creative cupcakes to your party. Whether you are celebrating a special birthday, a children’s party, an engagement party or just having a family get together on a Sunday afternoon, treat your guests to some quirky cupcakes. Whether you require novelty cupcakes, chic cupcakes, pretty cupcakes , colourful cupcakes or sophisticated cupcakes we will be able to tailor them to your desired taste. We deliver cupcakes to Luton and surrounding areas free of charge as a special offer !! 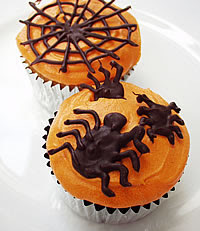 For those perfect spooky nights we can provide you with our Halloween cupcake delights. Whether you are holding a Halloween party or want to buy a ghostly treat we will have a cupcake to suit. With goblins and ghouls, spiders webs, vampire teeth, blood and more our cupcakes will definitely impress. We will package our cupcakes in themed Halloween packaging if you require individually boxed cupcakes. 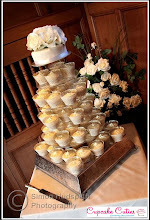 We could also supply a tier for presentation purposes. Whether you are arranging a children’s Halloween party or are an adult having a fancy dress party, simply add our bespoke Halloween cupcakes to your plans and you will surely impress your guests.